Upload three images here for the home page news slider. No more. No less. Upload using no WordPress ‘Link URL’ and at full size. Images can be any format, but must be 335 pixels by 335 pixels in size. Larger or smaller images will be stretched to fit those dimensions, which will likely look ugly. 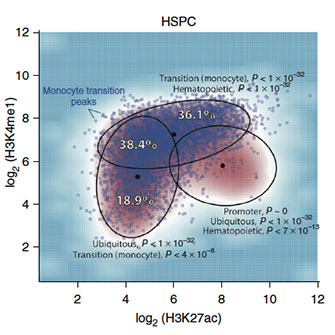 The team discovered that regulatory complexity and early enhancer establishment during hematopoietic differentiation shape transcriptional programs, and quantitatively modeled gene expression changes during cell state transitions. 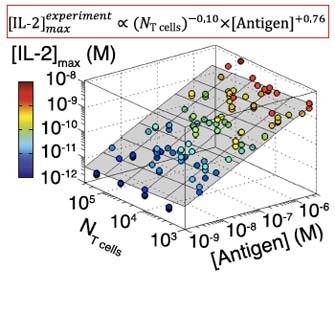 The Altan-Bonnet lab showed that T cell populations scale their production of the cytokine IL-2 to antigen abundance over a large dynamic range, independent of population size. 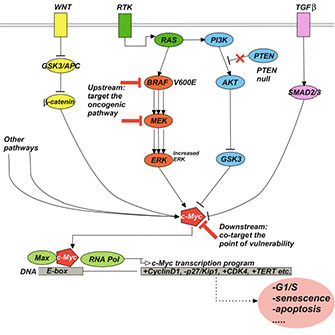 Based on computer simulations of comprehensive signaling models, the Sander lab discovered that co-targeting BRAF, a key upstream genomic aberration, and the downstream c-Myc pathway inhibits growth of drug-resistant melanoma cells in culture. This is a placeholder for the home page news script. The actual post won’t be displayed; only the title is visible. Using a workflow involving mouse models, clinical studies, metagenomic analyses and mathematical modeling, a probiotic candidate was identified that corrects a clinically relevant microbiome deficiency and may protect against C. difficile infection. analysis that is integrated in Galaxy. How much of a concern should the phenomenon of entropy-enthalpy compensation be in drug design?